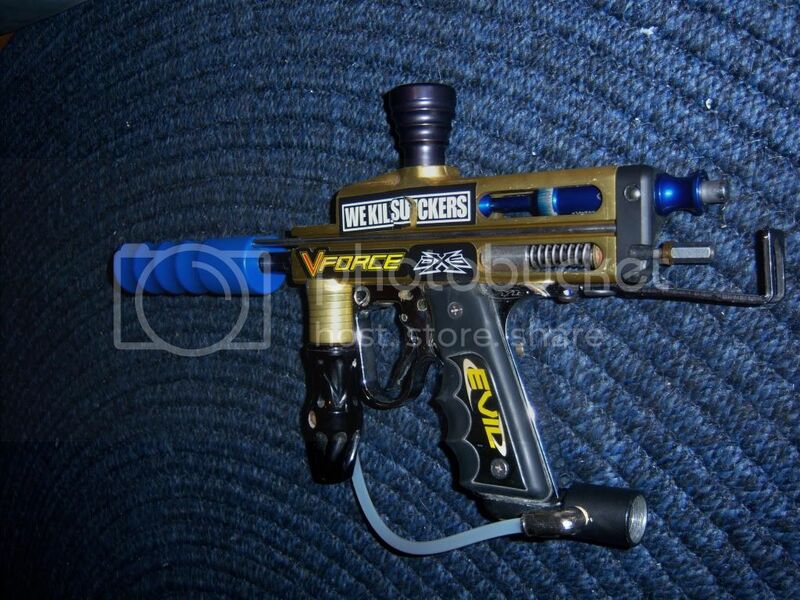 Custom body WGP pump, received it in a trade on the Nation. I don't really know WGP markers too well, so I haven't ventured inside to clean it. 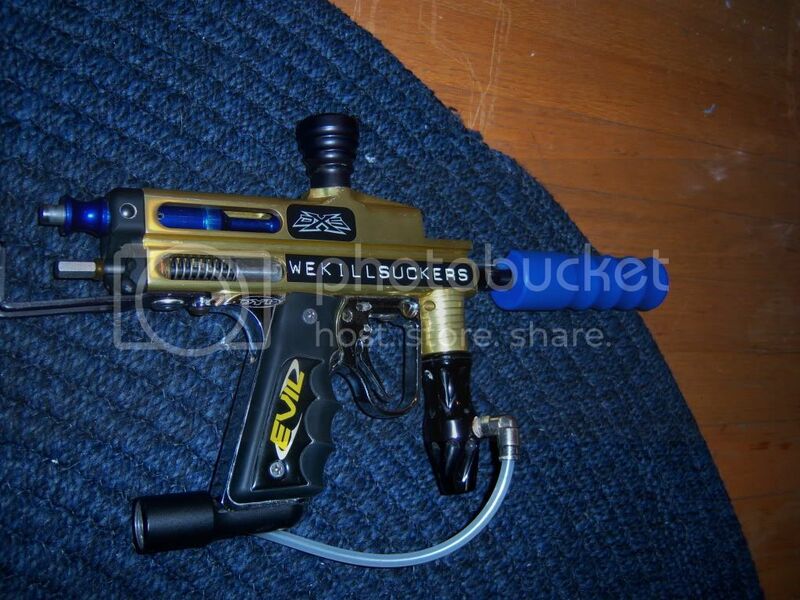 Has an ANS 2K Quick Pull Bolt, Dye frame, and Black Magic reg. Used it in the back yard and it works great. Actually nicer than I thought a pump would be. Ball on ball accuracy. If you really want I could make a video of it shooting but would be a couple days. Could make a package of things for the right trade, or the other way around. I would be more than willing to take them off for you if you can tell me how without leaving glue on the gun. hey thanks for the reply. Sounds good to me. If I may be permited to nit pick I don't think it is a WGP body. The feedneck looks to be angel threaded which would mean it is most likely a fireball mountain or aim body. Nit pick your heart out... Like I said, I don't know much about it. Any information about it you could give me would be appreciated. Are you saying this body was purchased with the rear 'windows' or is it an aftermarket body that had since been custom milled and anno'd?